Last year, Colossal did a story on artist Hannah Rothstein’s “Thanksgiving Special” series. 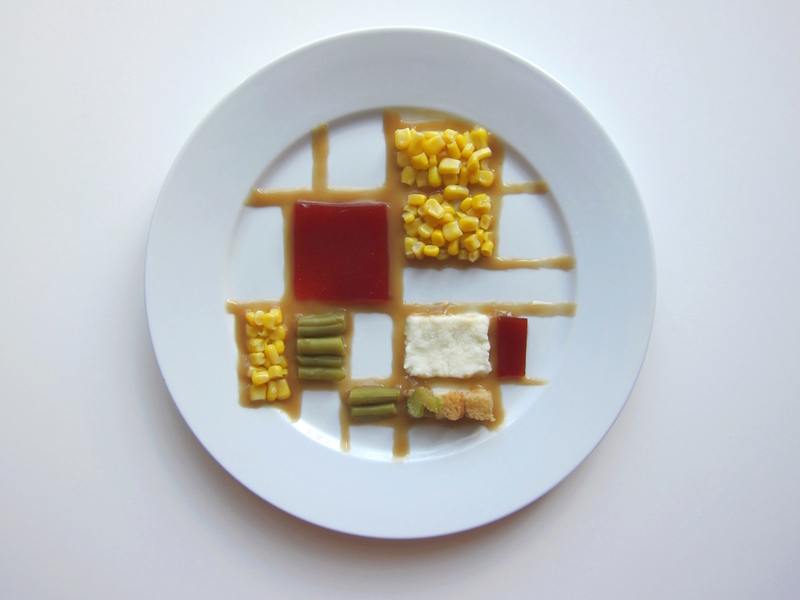 Rothstein imagined the Thanksgiving plates of 10 famous artists. It would be fun to show students one or two examples, and then have them choose an artist to represent in their own Thanksgiving plate art. This activity would not only amp up creativity, but also be a lesson in art history and in seeing things from another perspective. You could also use it to teach about parody. My favorite piece is the Mondrian. But, you should definitely check out the others on Colossal or Hannah Rothstein’s website.